We Specialize in Licensed Sports Apparel for Women’s Plus Sizes, Men’s Big and Men’s Big & Tall. 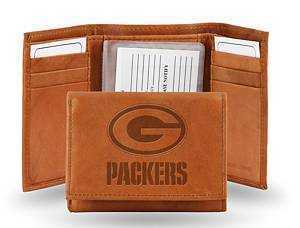 NFL licensed apparel and accessories in Green Bay Packers, Chicago Bears, Minnesota Vikings, Detroit Lions and Dallas Cowboys. Five NFL Teams in one store in licensed apparel and accessories by Majestic, Profile, Antiqua, Concepts, Win Craft for adults extended size to childrens newborn sizes. NCAA Wisconsin Badgers apparel, with a great selection for the whole family. Licensed apparel by Under Armour, Colesseum, and Antigua. MLB Milwaukee Brewers, and Chicago Cubs adult sizes to 4X, childrens sizes in baby, infant, toddler, pre school and youth sizes. T-shirts, sweatshirts, tank tops, polos, dress shirts and sweatshirts. Orders ship same day Monday thru Friday by US Postal Service, standard, priority or express mail if received before 2:30 pm CST. Shipping discounts on orders over $40.00. Service Area: Shawano, Neenah, Appleton, Menasha, Kaukauna, Waupaca, New London, Little Chute, Hortonville, Pulaski, Seymour and surrounding communities. © 2011 - 2019 Generations, All rights reserved. Page Summary: Generations offers newborn sports clothing, online kids clothes, sports apparel, armed forces medals, nfl jerseys, sports clothing, team apparel, wisconsin badgers, teamwear, military medals in Green Bay, Chicago, Minnesota, Wisconsin, Illinois, Milwaukee, Twin Cities, Minneapolis, St. Paul, Detroit, Michigan (MI) and surrounding Shawano County Wisconsin (WI), Minnesota (MN), Illinois (IL) communities.